Larry, B.S. 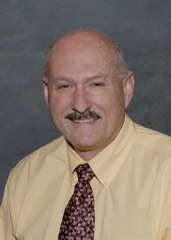 and M.B.A., has been a director of human services, university Instructor, and consultant for more than 30 years. He is an accredited Senior professional in Human Resources (SPHR), and a SHRM Senior Certified professional (SCP). He is an active member of several business associations. Mr Hobbs has more than 30 years of Human Resource experience. His extensive background includes positions as a Personnel Management Specialist with the Federal government and a Human Resource Manager for the General Dynamics Corporation. Throughout his career he has performed a significant amount of consulting, training, writing, and university-level teaching: with more than fifty published articles.Consulting clients are all over Texas, and available as references. Larry has a B.S from Abilene Christian University and an M.B.A. in Organizational Behavior & Management from the University of Alaska. He is a certified Senior Professional in Human Resource (SPHR) and Senior Certified professional (SCP); as well as an active member of the Society for Human Resource Management.